What can possibly go wrong? 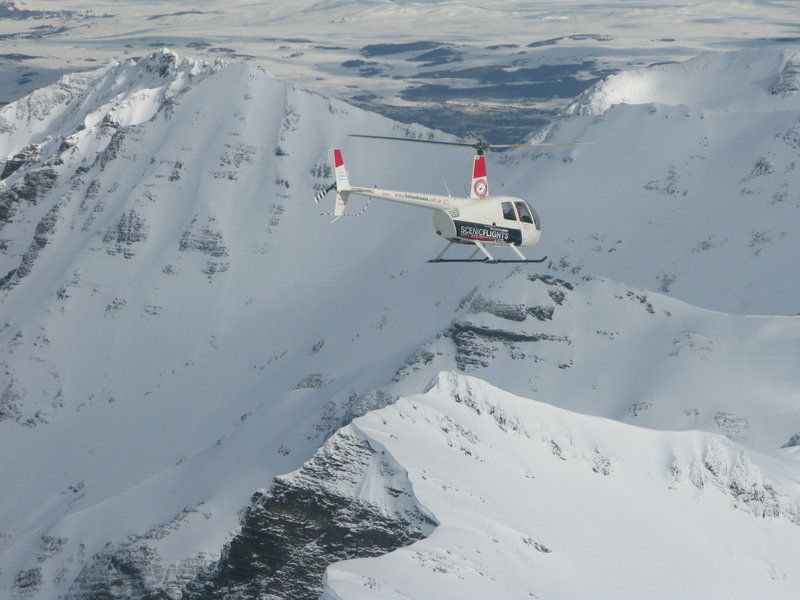 Far too many things I think as I sit in the draughty cockpit of a tiny helicopter as it shivers over Ushuaia, capital of Argentina’s most southerly Tierra del Fuego province. Ten minutes ago, an airborne tour of the local mountains and glaciers had seemed like a marvellous idea but that was when I was safely on the tarmac at the town’s rusting naval air station. Now only a thin layer of transparent acrylic separates me from the Rio Olivia that snakes a kilometre below and I cannot tell if I am transfixed by its metallic, meandering beauty or by fear. 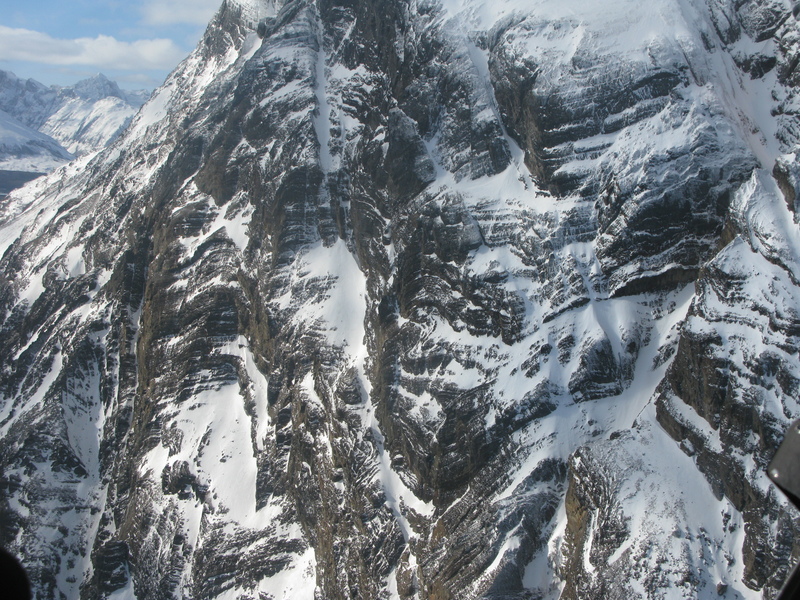 When I finally manage to look up, I flinch as Monte Olivia, a serrated, 1300 metre-high behemoth crests directly in front of us like some enormous, yawning wave, and the helicopter shudders as we hit one of the many thermals that rise from its flanks. Beside me, the pilot is delivering a lengthy monologue, but I’m far too distracted by how violently the helicopter is shaking to mention that I cannot speak a word of Spanish. Charitably, one of my fellow passengers, a languid Brazilian photographer with impeccable manners and English to match, taps me on the shoulder and smiles as he translates: “When we land we must stay low, walk straight away from the front of the helicopter, and always stay well clear of the tail.” I am less than appreciative. “Why. Where are we landing?” I ask stiffly. “Up there,” he beams as he points to a nearby summit. Five minutes later the sun has come out and my spirits soar as I survey the view from the summit of Le Cloche, a pristine paddock of snow no larger than a playing field. As I look towards the curving horizon, my gaze is drawn south across the dark waters of the Beagle Channel and over the mountainous southern islands of the Tierra del Fuego archipelago. I cannot see beyond, but I know there are only 1,000 kilometres separating me from Antarctica and the thought turns my mental world-map upside-down. For a brief moment, I fancy I can actually feel the white continent’s magnetic pull, but the illusion is quickly dispelled when I realise I’m suffering from vertigo. Needing to concentrate on something else, I focus instead on the middle distance and on Ushuaia, the frostbitten, mud-spattered frontier town below me. 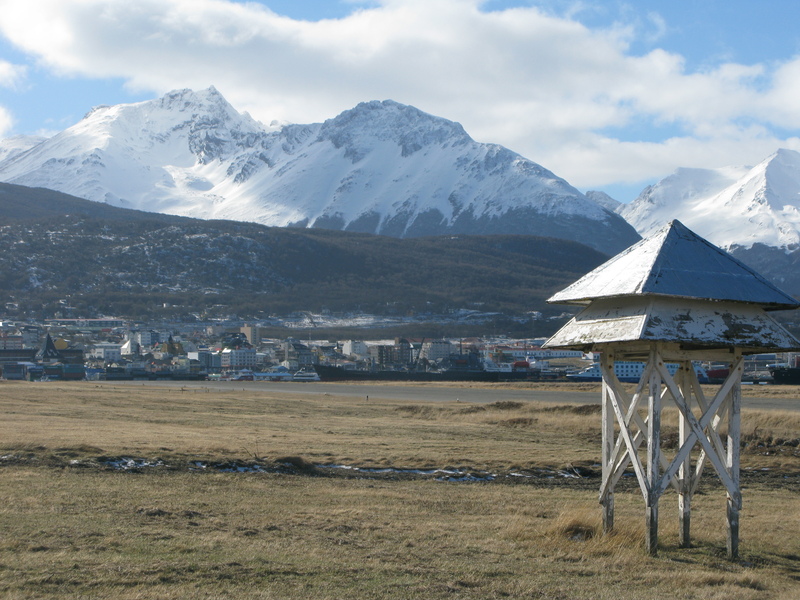 Not so very long ago, the town served as Argentina’s very own Devil’s Island, a place of incarceration for convicts deemed too dangerous to imprison anywhere else, but now Ushuaia operates as the main hub for tourists visiting Tierra del Fuego and beyond. Nothing communicates this unlikely transformation more clearly than the town’s main landmarks – its prison, airport, and harbour. 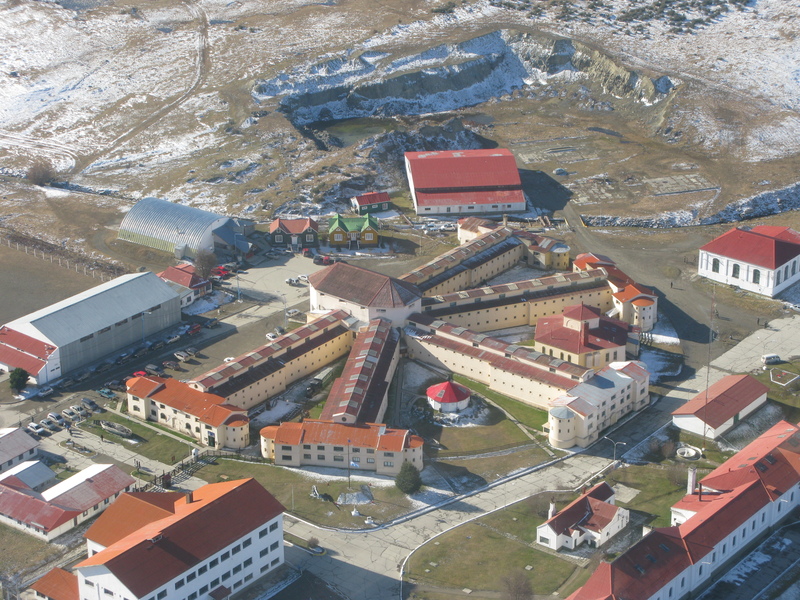 Built by the inmates it would house, the hub and five yellow spokes of Ushuaia’s forbidding panopticon gaol are now a museum and major tourist attraction while the low, angular sheds of the Ushuaia – Malvinas Argentinas Airport stand on the site of the region’s first Christian settlement, established by British missionaries in the 1870s. Forgetting my vertigo, I struggle to pick out the details of the harbour below because somewhere down there, between the bright red hulls of icebreakers and towering, ocean going cruise liners, sits the ship that will be my home for the next three days. Even with five decks, three luxurious lounges, and 100 cabins, the expedition ship M/V Stella Australis is still noticeably smaller than the vessels moored around it. 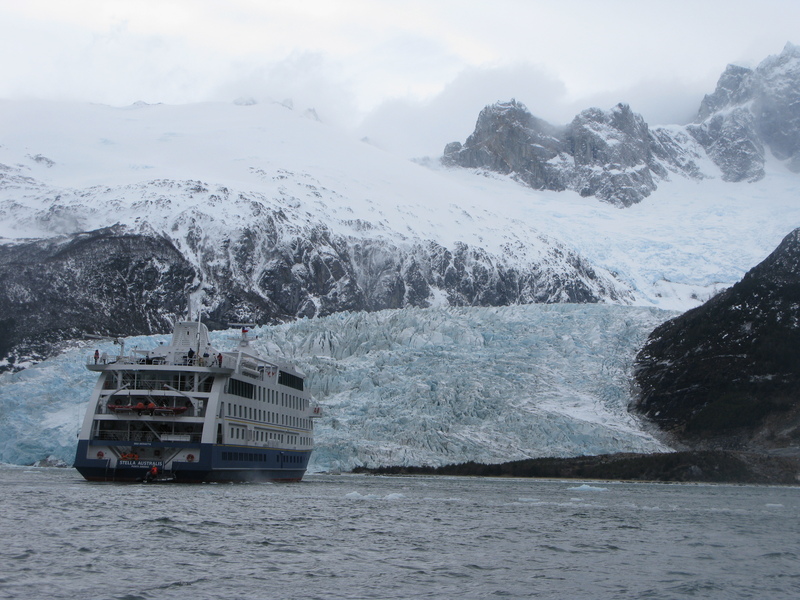 With its strengthened hull and shallow draft, the ship was built specifically for exploring the narrow glacial channels and fjords that define the region’s maritime landscape. The Stella Australis will take me on a circular voyage of over 360 nautical miles south from Ushuaia and through the Beagle Channel to view some of the finest mountains, fjords, forests, and glaciers in Chilean Tierra del Fuego before returning to Argentina. It’s a hectic itinerary that I’ll share with over 100 fellow passengers, many of whom are boisterous but friendly Brazilians eager to make the most of a hugely favourable exchange rate, and as I stand on the quayside waiting to embark, I enjoy conjuring backstories for my fellow passengers as they walk up the gangplank. There are fewer baby-boomers and many more newly weds and families than I’d expected, and over the coming days we swap our daily experiences and travellers’ tales at the meals, documentary screenings, lectures, and safety briefings that pack the fleeting hours between sleep and our twice-daily excursions. 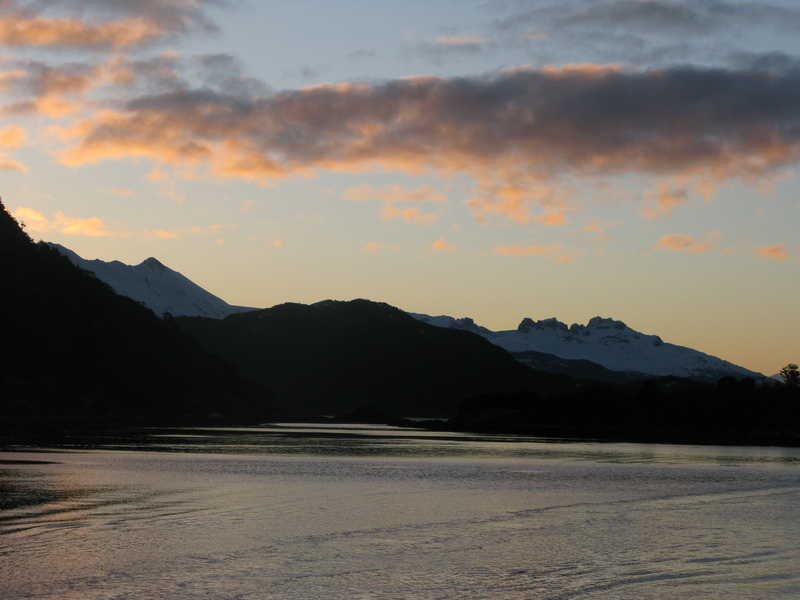 As night falls and we finally leave Ushuaia’s grubby harbour, the prospect of our first destination, the infamous Cape Horn, fills me with a sense of giddy excitement that’s leavened by a gnawing sense of dread. 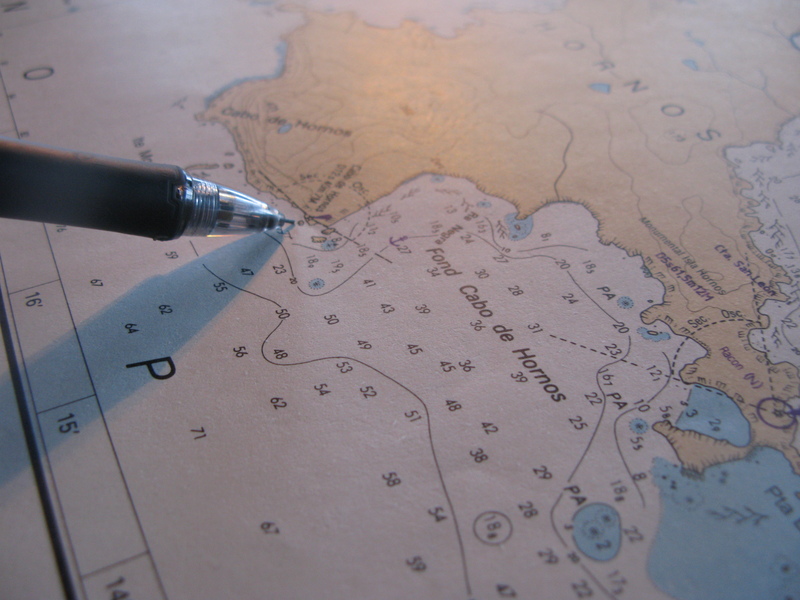 The seas around Cape Horn are a famous maritime graveyard, made dangerous in the Cape’s latitude by the ‘Furious Fifties’, ferocious gale-force winds that can blow around the bottom of the world from west to east, uninterrupted by land, but which are squeezed at the Cape between the Andes Mountains and the Antarctic Peninsula. In the shallow waters around the Horn, the result is enormous waves that arrive in quick succession, historically a lethal combination for the generations of ships forced to take the route before the construction of the Panama Canal, creating conditions that some sailors still consider the maritime equivalent of scaling Everest. 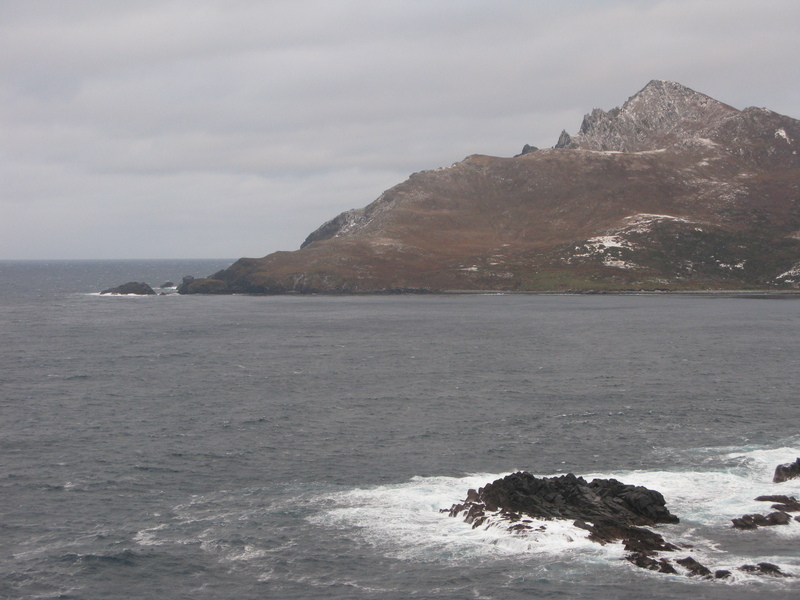 Cape Horn itself is an inaccessible, barren pyramid of rock that rises 425 metres from the ocean at the point where the Atlantic and Pacific oceans meet, but the adjacent Horn Island is home to Chilean naval station and it is here that we disembark. A process that comes to define life aboard the Stella Australis now begins. I dress in the warm layers, waterproofs, and inflatable life jacket required for the short zodiac trip ashore and head to the ship’s main lounge for a final safety briefing, landing instructions, and assignment to a crew member who will guide my group for the coming trip. Excitedly, I soon find myself at the front of a queue that snakes down four decks toward the waiting dinghies, which bob like black corks around the ship’s stern. Each carries a crew member who stands wide-legged at the rudder, and fourteen passengers who squat gingerly on the zodiac’s inflated sides. Our dinghy peels away from the mother ship and sets off in a wide arc toward our destination where it is greeted by another set of crew, some of whom stand chest-deep in seawater, waiting to steady the craft as it arrives. It is a breath-taking 160 steps up a vertical cliff to the top of the island and as I climb, supported by only a length of orange rope in some places, I brush snow and ice from the rickety wooden staircase that enables our ascent. 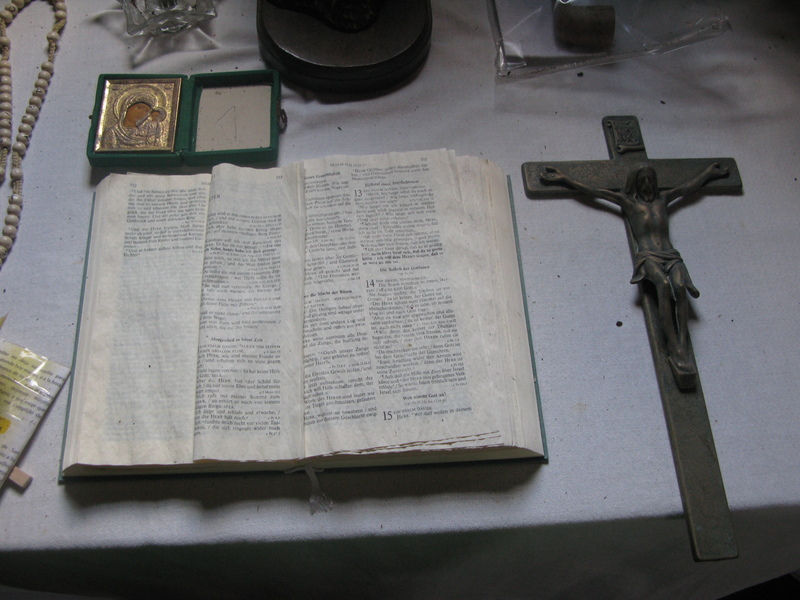 The small shrines that pepper the cliff face – filled with candles, plastic flowers, rosaries, and statuettes of the Madonna – serve as a sobering reminder of the Cape’s ominous history, dedicated as they are to lives lost attempting to round the ominous ‘Horn. Climb complete, we are greeted by the only residents of Horn Island, its lighthouse keeper, his wife, their ten year-old child and an enormous dog. We have brought their mail and in return, they show us the lighthouse, a small wooden chapel, and the more substantial but less affecting Cape Horn Memorial, a seven-metre high steel sculpture of an albatross dedicated to the ‘Cape Horniers’ who have lost their lives here. Battered continuously by wind, the islands of the Horn Archipelago rise treeless from the ocean but are surprisingly verdant, rising like some enormous blasted heath from the desolate seas that churn around them. It’s an astonishing landscape attracts and repels in equal measure, not least because its character changes as dramatically and quickly as the weather, from wildly romantic at one moment to darkly menacing the next. If the Horn archipelago epitomises the sublime, the landscape at Wulaia Bay is positively picturesque in comparison. Located on the Western side of Navarino Island and accessible only through the narrow Murray Channel, Wulaia’s atmosphere on the afternoon of our visit is autumnal, serene, and strangely reminiscent of the Scottish Highlands. The prospect of a breathless climb up a nearby peak doesn’t appeal so I opt instead for the low road and a guided walk around the bay. I am not disappointed. Wulaia is rich in history. 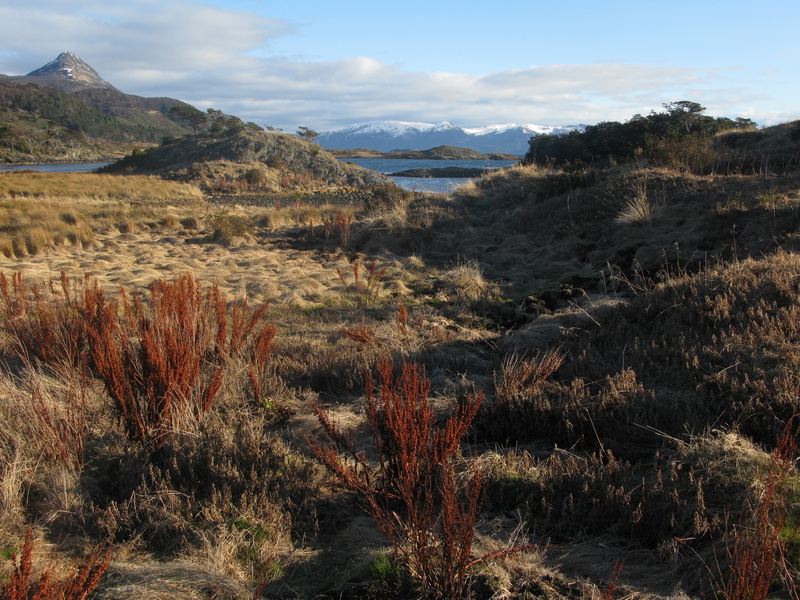 A memorial commemorates Charles Darwin’s visit in the 1830s while exploring Tierra del Fuego on the second voyage of the Beagle, and there are also important archaeological remains here that shed light on the lives of the area’s first inhabitants, the Yamana. Genocide and disease wiped out most of them in the late nineteenth century, and now only 13 Yamana survive in the whole of Chilean Tierra del Fuego, only one of whom is still able to speak in their original tongue. Despite its bloody past however, Wulaia’s natural beauty is overwhelming and in a short walk, we see wild pigs, eagles, condors, vultures, ibis, oystercatchers, and caracaras, a local raptor, in quick succession. To the amazement of our guide, a caracara descends and lands, only a few metres away, on the back of a wild pig that’s too busy truffling for food to even register its new passenger. Our excursion ends just as the light fails and the temperature starts to plummet, with what is to become a customary hot chocolate, prepared by the crew and taken on the seashore. As we return to ship, the wake from our dinghies the only movement on water as smooth and reflective as plate glass in the twilight. As soon as I’m back on board it is time for the evening routine to begin. I return to the comfort of my cabin, unpeel my many layers, and shower the chill from my limbs. The Stella Australis has an extensive library, a fully equipped gym, souvenir shop, and three warm and comfortable panoramic lounges to explore, but I wake instead an hour later, just as the call to dinner sounds. I descend, blearily, to the Patagonia dining room two decks below where I am greeted by a room of smiling faces that are just as weary and wind-chapped as my own. After dinner – an international buffet made interesting by local produce and traditional Chilean dishes – we return to the main Sky Lounge for a briefing about the next day’s excursions. A documentary about Fuegian wildlife is followed incongruously by a fashion show into which several passengers are ‘volunteered’ by adept members of the crew, and the evening is topped by an equally good-natured game of bingo. Luckily for the less gregarious passengers, lounges are set aside for quieter forms of relaxation but a significant number of passengers, myself included, retire early, in response to that satisfying sense of fatigue that can only come from time spent in the great outdoors. 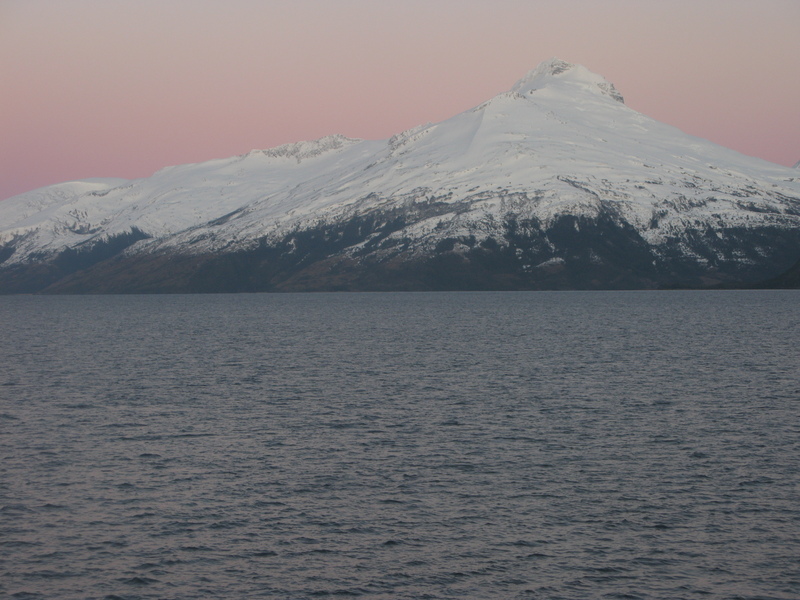 Next morning I’m up on deck before a rosy dawn that rises slowly behind white peaks that plunge straight to the sea. 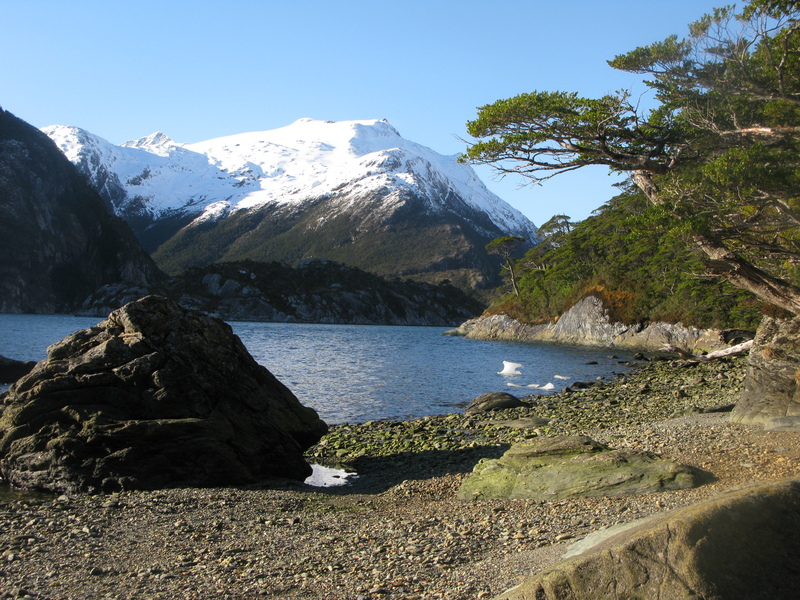 Tierra del Fuego has more fjords than Scandinavia, but of these, the Garibaldi is the most spectacular. The fjord sits at the southern end of the sub-Antarctic Darwin Cordillera, a heavily glaciated mountain range so inaccessible and remote that it was only traversed for the first time in October 2011. It is also home to the mighty Garibaldi glacier, whose fractured terminus calves spectacularly into water carpeted with icebergs, our first of the trip, which scrape streaks of red paint alarmingly from the Stella Australis’s hull. Our next excursion is an adventurous hike to a high waterfall that cascades down through the primeval forest that clothes the flanks of the fjord. As we make our way higher, over fallen trees, under upturned roots and around mighty outcrops of rock, our climb is accompanied by the constant sound of melting water and the warm, comforting smell of fresh vegetation. 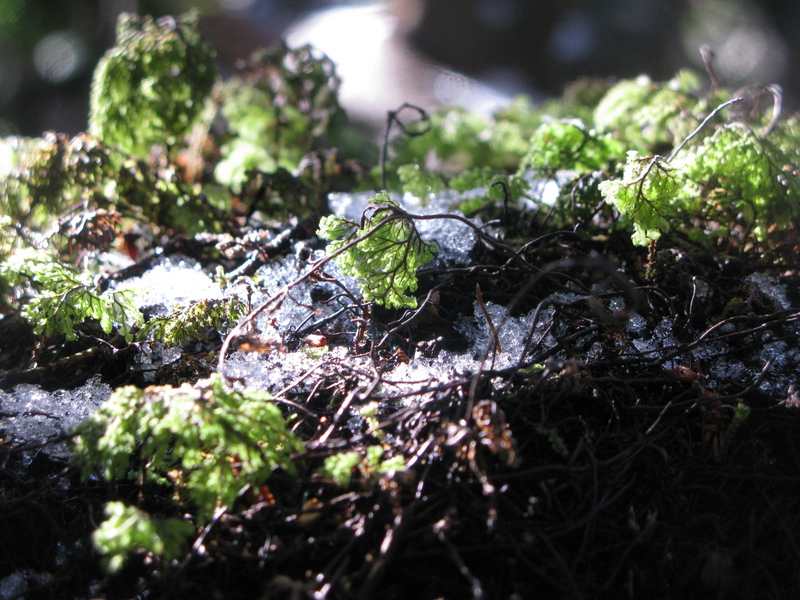 The trees here, which are covered in curtains of hanging moss, gigantic icicles, and unfurling ferns, are found only in the southern hemisphere, relics from a time over 180 million years ago, when today’s southern continents belonged to one great landmass, Gondwana. Eventually we reach the fall itself, a small torrent of melt water that seems to gush straight from the rock, and look out over the fjord and glacier as a pair of eagles cry and circle overhead. That afternoon we reach another fjord and glacier, the Pia, whose tongue extends all the way from mountaintop to sea. After a short hike, I sit less than a hundred metres from its cliff-like terminus, listening to the glacier’s continual cracks and creaks, but what I cannot do is match the occasional explosion to the cascades of ice that calve, out-of-sync, into the black waters of the waiting fjord. 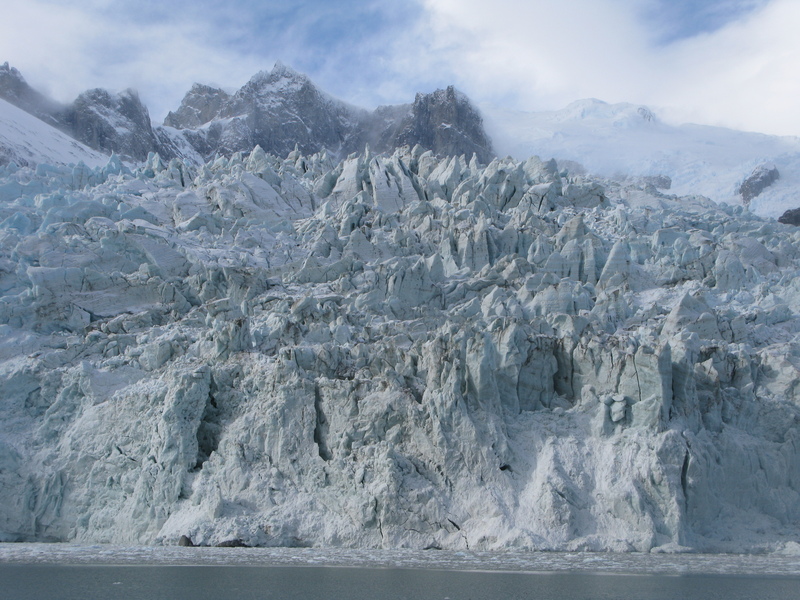 Frustratingly, the ice has always already fallen by the time I react to the sound and after a while, I try to concentrate instead on the glacier’s mass rather than its movement. Sitting in the critical path of a several kilometre deep glacier may sound suicidal, but as the conversation at that evening’s dinner reveals, it also produces a widespread sense of calm, contentment, and – for the first time in many of us – an overwhelming sense of awe. We spend the last daylight section of our short cruise sailing along the northwest arm of the Beagle Channel, through a canyon of ice now known as ‘glacier alley’. The channel was named in 1830 by the English explorer Robert FitzRoy in honour of his eponymous ship. Mountain high sheets of ice called Holland, Italy, Germany and France cascade on either side of our passage, chilling testaments to the many generations of explorers who have navigated these waters since the first European, Ferdinand Magellan, arrived in 1520. Sailing through this canyon of ice it is almost impossible to imagine the kind of risks and hardship those early voyages of discovery entailed, but what’s even more difficult is to try and comprehend the lives lived by the Yamana, the region’s true pioneers. 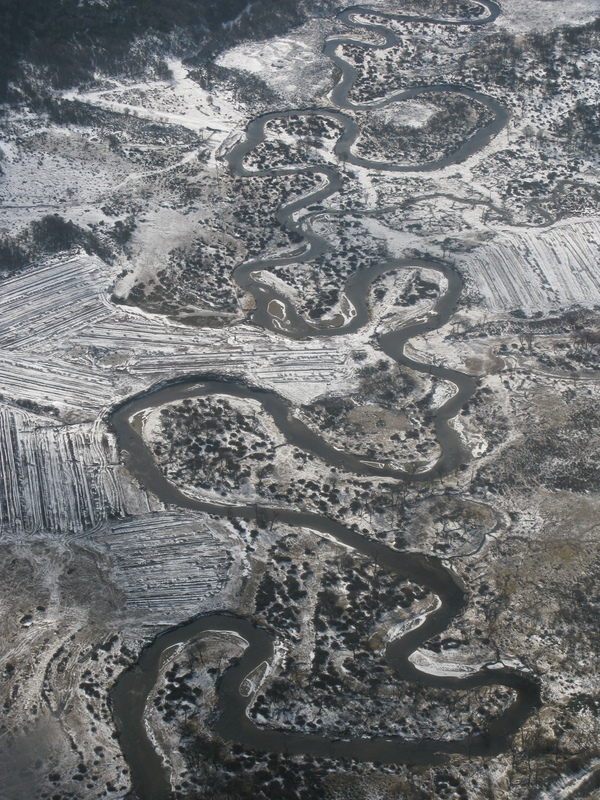 They knew this stretch of water as the Onashaga, arrived a full nine thousand years before Magellan, and adapted successfully to life at the very end of the Earth but now, like their language, the Yamana are effectively extinct. Tonight is our last on the Stella Australis and as most of the ship sleeps, we cross from Chilean to Argentine territorial waters. 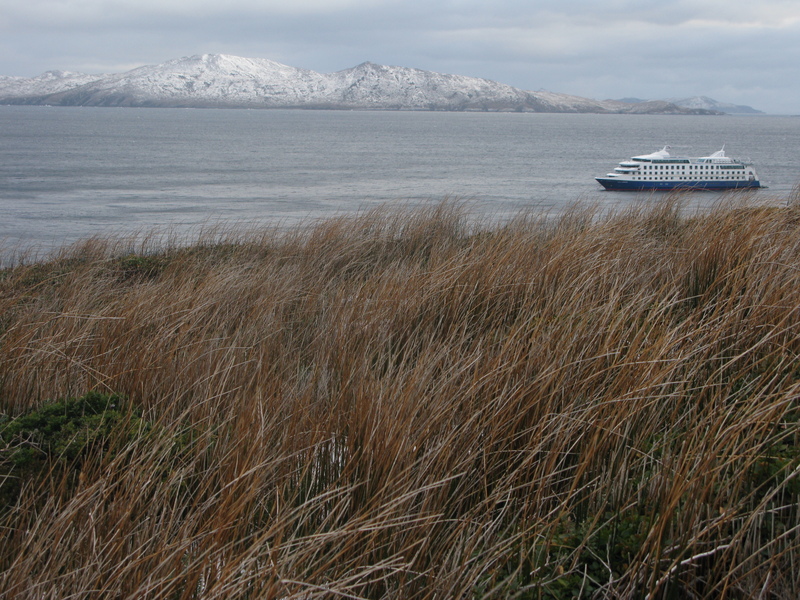 In the morning, we will arrive, back in Ushuaia, for a final breakfast before it is time to disembark. As we sail into the darkness, I am invited to the bridge where I stand, transfixed, as I watch the ship’s pilot complete the navigation chart for our voyage. In the warm cone of light cast by a desk lamp, everything factual is there: points of latitude, longitude, bearings, and each anchorage, but there are some things the chart simply cannot convey. For one passenger, at least, this has been a voyage of discovery, and though I may arrive back where I started, everything else will have changed. A version of this article was originally published in UltraTravel Middle East. Previous article Desert plants – a tonic for the nation?